In New Year 2019, VPN (Virtual Private Network) Services are gaining massive popularity, as it allows you to visit restricted websites sites, or address and maintain your privacy and keep you secure. Today downloading a VPN has become an important part of a defense in the fight against cybercrime, and the other additional uses you can get out of VPN services have just added to their popularity. VPN service is mostly used for getting around geo-blocking and restricted websites, opening up new ways for streaming TV and sport of different country. If you are from China or India (Known countries for blocking many websites), a Good VPN service will be the best choice for you to visit those restricted websites. What makes VPN Service Best? A VPN service is best when it provides a fast, secure and easy-to-use interface as well as country choices. There are two main types of VPN, free and paid. Free is usually overcrowded with people making service slow and increase latency. Where paid can provide great service with fast speed and response time, not to mention many other features. 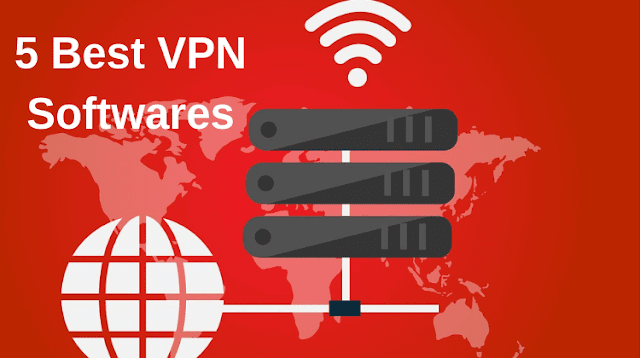 Roboniqe has created a list of best VPN software for Windows. The list is based on software magazine review, other top lists, new arrival, and general users review. ExpressVPN is one of the best VPN service providers that offer access to over 2,000 servers in 148 locations across more than 90 countries. Not to mention, this software maybe offering the widest platform support. Moreover, its interface is very unique and user-friendly, as well as easy to understand. They also offer 24/7 chat support to the customers. CyberGhost is a VPN service provider based in Romanian and German. It is a very powerful VPN provider and it has gained popularity because of advanced control over VPN. Today, the company offers 3000+ servers across 60 countries. Its task-based interface can be complicated to understand at first but after a few minutes, you will be able to operate CyberGhost efficiently. TunnelBear is a Canadian-based VPN service that strong emphasis on bear-related humor if you use the software you will understand. The software focus on simplicity in every platform means there's not too much here for demanding users that want advanced level control over VPN service. TunnelBear only offers VPN service in 20 locations across countries. IPVanish is a VPN service provider that offers great and well-designed VPN features. It offers basic as well as advanced settings for VPN. Not to mention, IPVanish is one of the best for torrenting and other P2P traffic, as well. Moreover, it uses 256-bit encryption over OpenVPN, PPTP as well as L2TP protocol, ensuring maximum security. NordVPN is on this list because it’s fast and uses tight security. The NordVPN offers a certain number of ‘Double VPN’ servers which transfer your data through two separate VPN servers, not just one, which makes it even more secure compared to other VPN providers. Not to mention, you can also route its encrypted traffic over the Tor network by adding another layer of security, along with KEv2/IPsec, OpenVPN, PPTP, and L2TP protocols exist in the software.